Terratec has completed the production of a 6.44m EPBM for the Bangkok Metro Blue Line Extension Project (Contract 1). The machine was designed and produced in cooperation with Japan Tunnel Systems Corporation (JTSC), subsidiary of Japanese-Giant IHI Group. 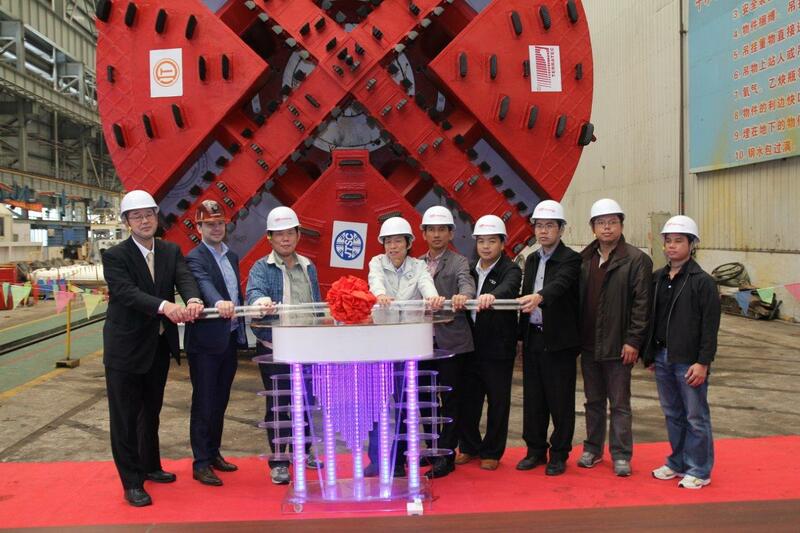 The Tunnel Borer was delivered to Thai leading Contractor Italian-Thai Development PCL, in a Ceremony which was held on March 27th in Guangzhou, China, in presence of Officials of the Mass Rapid Transit Authority of Thailand (MRTA). The EPB Shield, has been specifically designed for this Project with unique IHI’s design of Cone-Type CutterHead for positive cutting the Concrete Piles which may be encountered on the way. TERRATEC has produced the machine in Guangzhou using IHI’s Design and Key Parts for the Shield and its own Design and Parts for the Back-Up System. 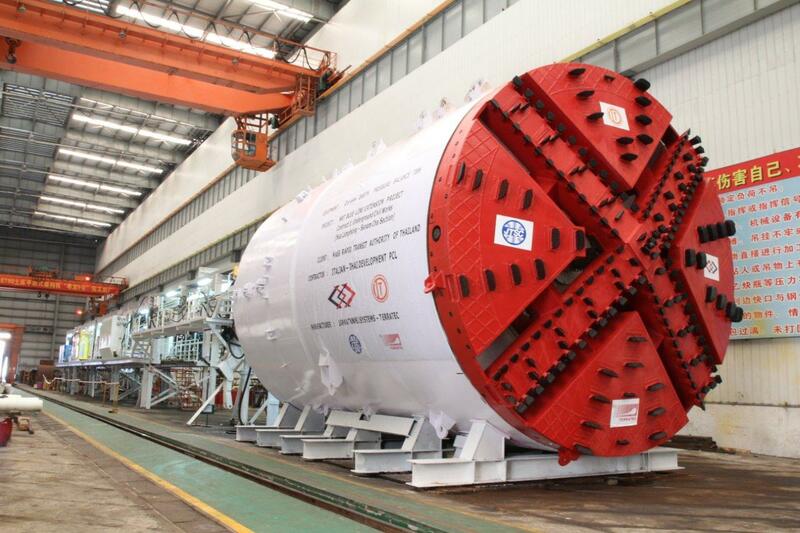 This is the first TBM to bore for Bangkok Metro for 10 years, an important milestone for MRTA. The Machine has been already shipped to Bangkok and it is expected to commence the excavation by end of June. WHO IS THE ITALIAN PARTNER OF ” pcl Italian-Thai Development ” ? THANKS.